Cover pencils by Curt Swan, inks by Murphy Anderson. 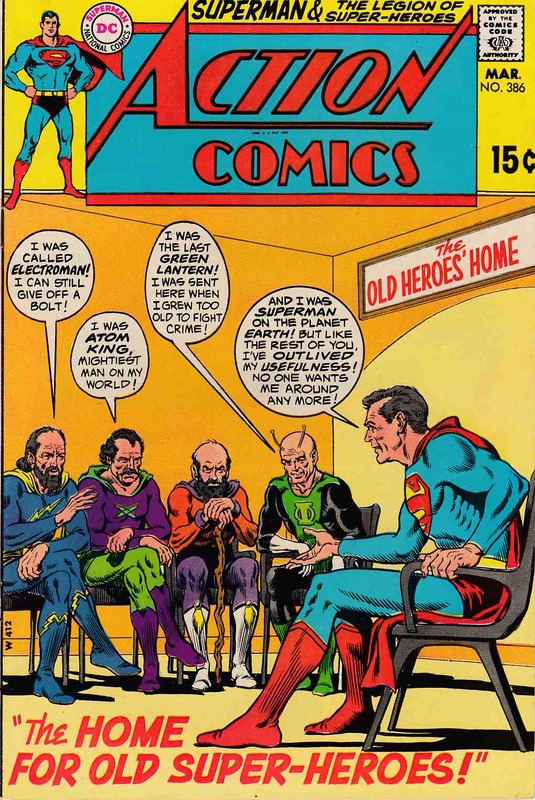 "The Home for Old Super-Heroes! ", script by Cary Bates, pencils by Curt Swan, inks by George Roussos; The Time-Trapper's plot against Superman has sealed off his own time period, and he can only travel forward through time; In the year 122,470, he learns that super-powers are prohibited by law. Tales of the Legion of Super-Heroes back-up, "Zap Goes the Legion! ", script by E. Nelson Bridwell, pencils by Win Mortimer, inks by Jack Abel; Released ex-con Uli Algor has a defense for every super-power the Legion has, but none for a good old-fashioned uppercut.